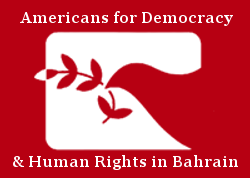 In September 2018, Americans for Democracy & Human Rights in Bahrain (ADHRB) presented 145 cases exhibiting a pattern of enforced disappearances in Bahrain to the Working Group on Enforced or Involuntary Disappearances (WGEID). In October 2018, the WGEID sent an allegation letter to Bahrain on the subject and the Bahraini government has elected not to respond. Please read the full text below, or find a PDF version of the allegation letter here. The Working Group received information from the source concerning alleged violations and obstacles encountered in the implementation of the Declaration on the Protection of All Persons from Enforced Disappearance in the Kingdom of Bahrain. According to the source, over the course of the last eight years, authorities of the Kingdom of Bahrain have been systematically arresting and forcibly disappearing its citizens, and frequently torturing them into signing confessions of committing crimes without the presence of a legal counsel. These confessions would have then been used against them during their trials. The individuals have been charged with and sentenced for crimes ranging from illegal assembly to terrorism. Enforced disappearances and related abuses have been occurring more frequently in counter-terrorism cases than in cases based on less serious charges. This pattern of mostly short-term enforced disappearances and related violations of human rights is ongoing. The source submits that there have been 145 documented enforced disappearances in the Kingdom of Bahrain between March 2010 and July 2018. In 89 of these cases, the individuals reported torture or other ill-treatment while forcibly disappeared; in one case, the disappeared individual was executed, in January 2017. Ages of victims range from 15 years to 48 years at the time of the disappearance. Of the 145 documented enforced disappearances, 130 of the individuals are male and 15 are female. The disappearances, according to the source, range from lasting between a few days to over 300 days. The length of the disappearance is typically proportionate to the length of the investigation. The type of charge may also influence the length of the disappearance and the intensity of the torture. Individuals suspected of more severe crimes are often disappeared for a longer period and the torture to which they are subjected to is often greater. The reported torture methods include electric shock, sexual assault, and threats of physical torture. The source asserts that the torture takes place mostly at the premises of the Criminal Investigations Directorate (CID) but disappeared persons have also been tortured at the police stations and in one documented case at a medical facility. Enforced disappearances and concomitant ill-treatment typically end when the victims confess to the Office of Public Prosecution. The source also underlines that enforced disappearances last longer in cases handled within the military jurisdiction. In this connection, the source reports that enforced disappearances of three persons tried by the Bahraini High Military Court on 25 December 2017 have been ranging from 331 to 575 days, with an average of 448 days. According to the source, upon repeated request for information about the whereabouts of their loved ones, Bahraini authorities informed that because the case was within the military jurisdiction, the defendants’ status was subject to special restrictions. Finally, the source asserts that national institutions mandated to safeguard human rights in the country are in fact covering these practices as they expressly refuse to accept complaints indicating the absence of contact with the arrested person whereas the facts of the cases point towards enforced disappearances.